Here are some of the best ways that you can foster communication in your organization, in no order. Those who might not know much about technology will be somewhat hesitant to adopt it. This can make implementing a unified infrastructure tricky, as you might encounter users who have no clue what they are doing. After all, they’re going to need to access important files on a company network or accessing your cloud solution for sharing information or software. You can use an intranet to connect these employees to important resources that they might need on a daily basis. This acts like a central hub where all of your business' assets can be found in a moment’s notice. This allows you to minimize the risk of confusion or miscommunication. If you don’t have a unified communications solution already put in place, it’s extraordinarily proficient at keeping threats out of your network and infrastructure. Unified communications consists of a unified email server, a phone system where each employee has their own individual extension, and instant messaging for quick and easy communication in a moment’s notice. 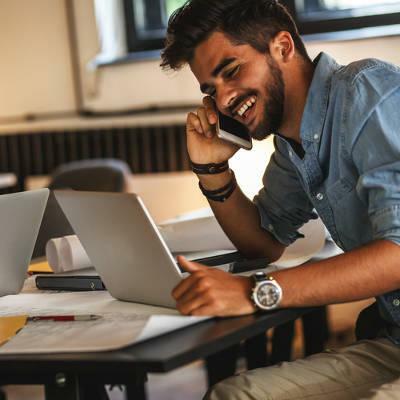 These solutions can be hosted either on-premise or in the cloud--in fact, Voice over Internet Protocol, or VoIP, is the preferred method of telephone communication. By providing your employees with several mediums to reach out to each other, you are giving your team the means to be as productive as possible with their time. If you’re hoping that you can find information about a solution your business uses online, perhaps there is an easier way to accomplish this same goal. Your company can benefit from implementing some sort of documentation system where frequently asked question are stored and compiled. This can help your business accumulate knowledge and cut down on time spent asking repetitive questions, as well as eliminate a portion of training for more self-driven lessons. It essentially provides your employees with the autonomy they might crave. What are your business' specific communication needs? White Mountain IT Services can help you meet them. To learn more, reach out to us at 603-889-0800.